AFTER SUPER BOWL SALE ! Limited time only, while supplies last. Great Gift for the readers in your life, or yourself. 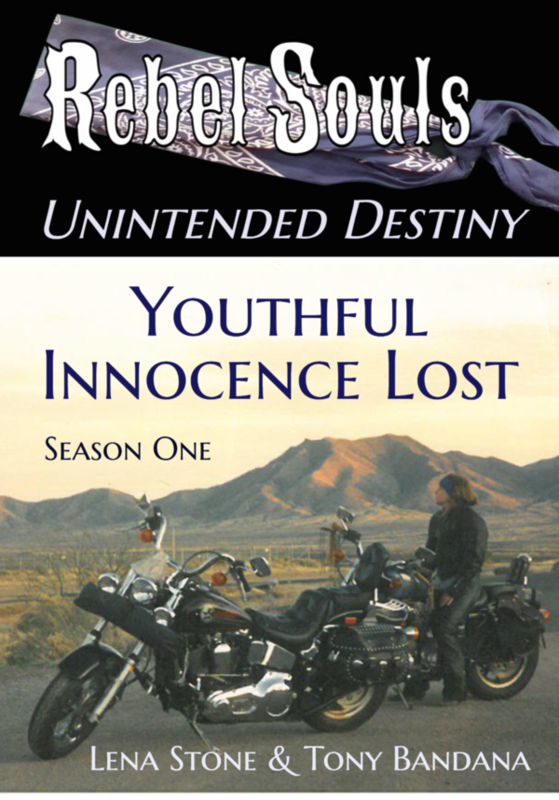 Get “Youthful Innocence Lost” the first book in The Rebel Souls Unintended Destiny series for $19.99. It’s time to relive the 1960’s in this realistic fiction, an American Saga you will enjoy. Feel the times and live the events and music like America really was, as you take a ride on the roadway of life with Lena and Tony. Buy any episode and receive the episode of your choice for free! 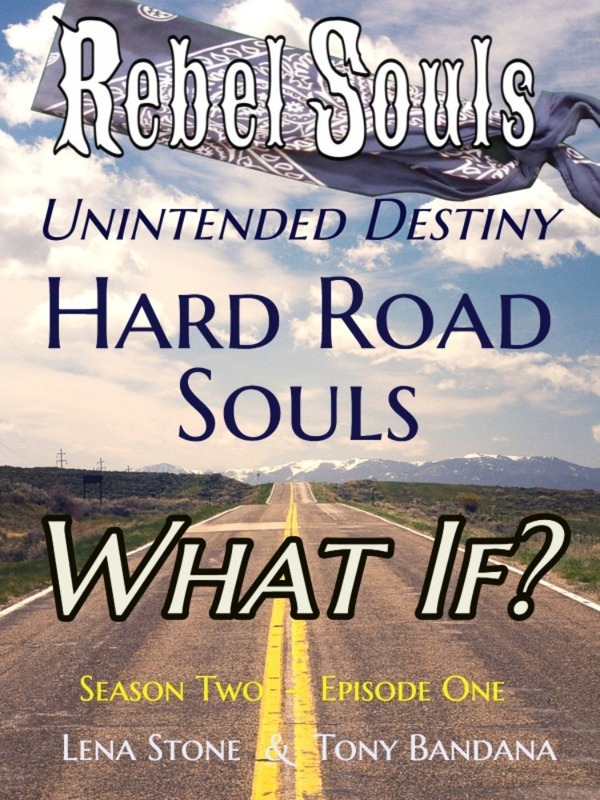 In addition season two, Hard Road Souls Episodes 1 “What If?” and 3 “Bumpy Roads” available as free downloads to you free for you to enjoy and understand the kick off to 1970’s, when the dreams and promises of the 1960’s left even more questions for America’s Youth. Episodes 1 and 3 are Free! What If? 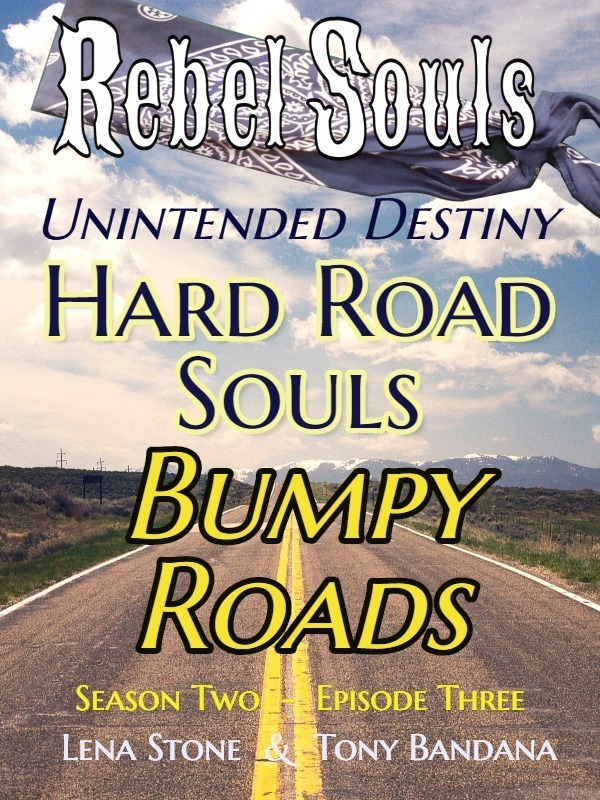 Episode 1 and Bumpy Roads, Episode 3 of Season Two, Hard Road Souls are FREE. 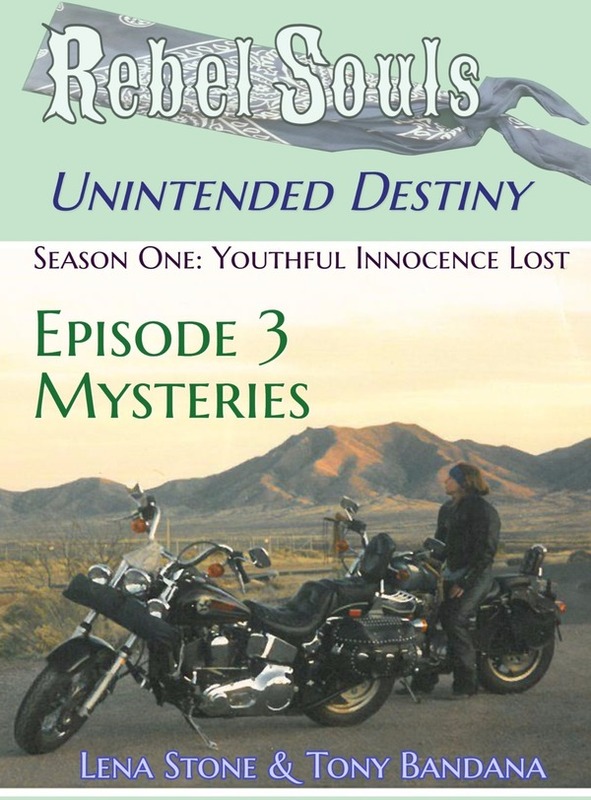 We want to thank our readers for making Season One, Youthful Innocence Lost, a success, and to allow you to sample our generational adventure on the roadway of life at no cost. We hope you will join us on the ride! 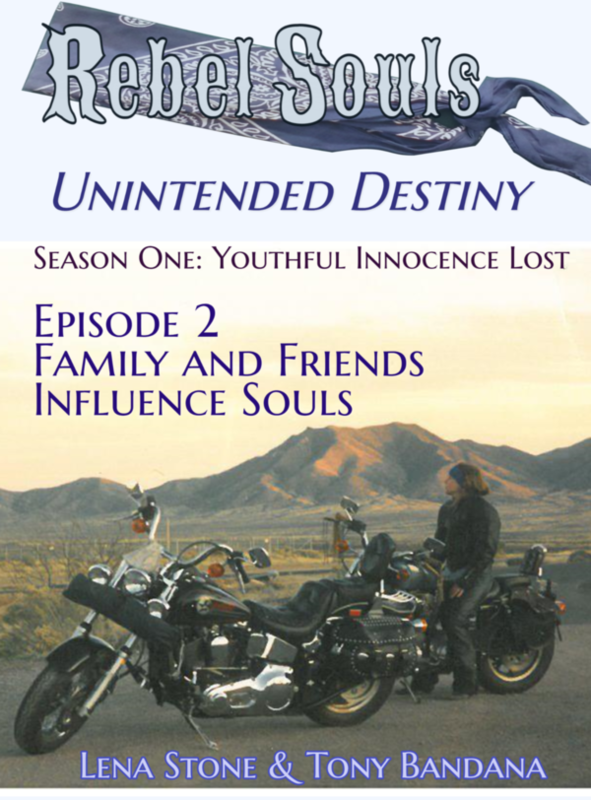 With their Youthful Innocence Lost, Lena and Tony shape their future, never forgetting the lessons they learned from the pleasures and hardships they endured. With the 1960s and the outset of the 1970s just a glance away like an image in the rear-view mirror, the rapidly changing times alter their destiny in unintended ways as more forks in the road require their attention. At times it was tough reflecting back on what could have been the easy path to take, but as Rebellious Souls learn when searching for adventure, looking forward is the only direction life allows you to go to find your destiny. The Agency uses their new muscle to take control of an explosive situation. Lena and Hammer look forward to the future, handling the good and bad through quality time on weekend getaways that help wash heartaches away. Tony enjoys his youthful form of brotherhood and deals with lingering problems as they come his way. He discovers how some problems are an easy fix, while others require force to remedy. True friendships and good vibes for his brothers grow stronger, and new loves fire up his life. After traveling bumpy roads and new joys, Tony and Lena are on new paths, knowing they have the power in themselves to repair the unavoidable wrong turns on the roadway of life. Work builds character, and new loves take them to greater heights. After Tony unleashes his developed power, he realizes he must find a way in himself to control it. Constant questions and mysteries, decisions and choices must be navigated to avoid that next pothole. The Big Dogs of the Federal Agency feel the bite from new and old friends and foes and they are forced to repair the road they are on. Duty and loyalty come into question. Tony compromises with the old traditional ways of his parent's as the tidal wave of his generation’s attitudes struggle to be the norm. 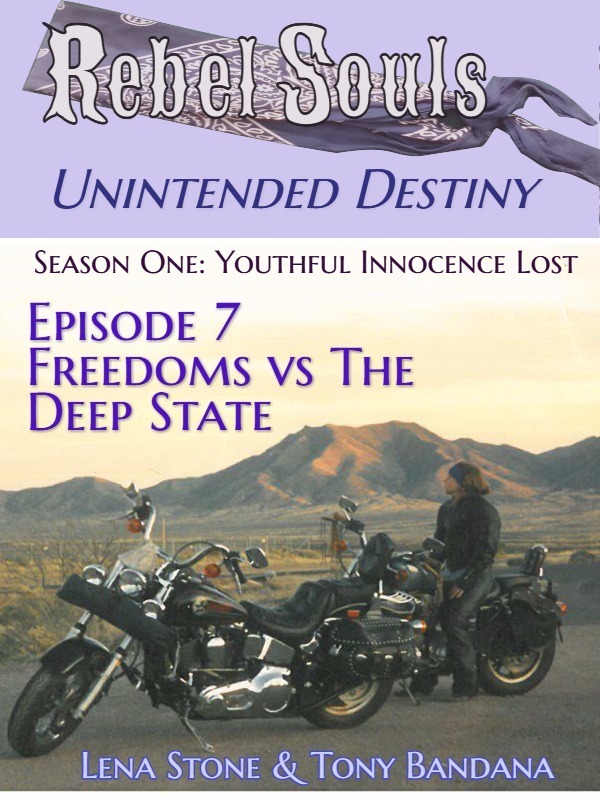 He feels the strong undertow of freedom, independence, and responsibility as he learns lessons from each of his encounters and from what he witnesses in the world. Tony soul grows wiser by retaining the knowledge from his past and applies it to the future. The Federal Agents become more comfortable in role playing their undercover characters, and less comfortable with who they really are, and the Agency itself, wondering more often who they really are and for whom do they work? Hammer’s genuine love and care smooths out Lena's bumpy ride and she fills in his huge holes of confusion from the horrors in Vietnam. Hammer reconnects to his youthful enthusiasm as Jerry Wilson and he finds peace and pleasure, and looks forward to the future with his Little Lady. The Finest Wine, Women, and Song! Just the Sound of a Motorcycle Enraged Him! Lena harnesses a boldness that brings solace and transforms into a dilemma. Tony finally receives answers which result in more questions and challenges. The Big Dogs grow more concerned about being bitten as they seek answers, and deal with doubt. Stone Bandana - Publishing, Entertainment, Merchandising. Take a ride on the roadway of life with Lena and Tony in this new epic saga. Experience the unexpected turns they face as they dare to fulfill their dreams to satisfy their Souls. The life voyages of Lena and Tony in “Rebel Souls, Unintended Destiny,” will take you on their journeys to some of the most majestic places across America and around the globe. Share the excitement and heartbreak from their encounters that develop and shape the Soul. 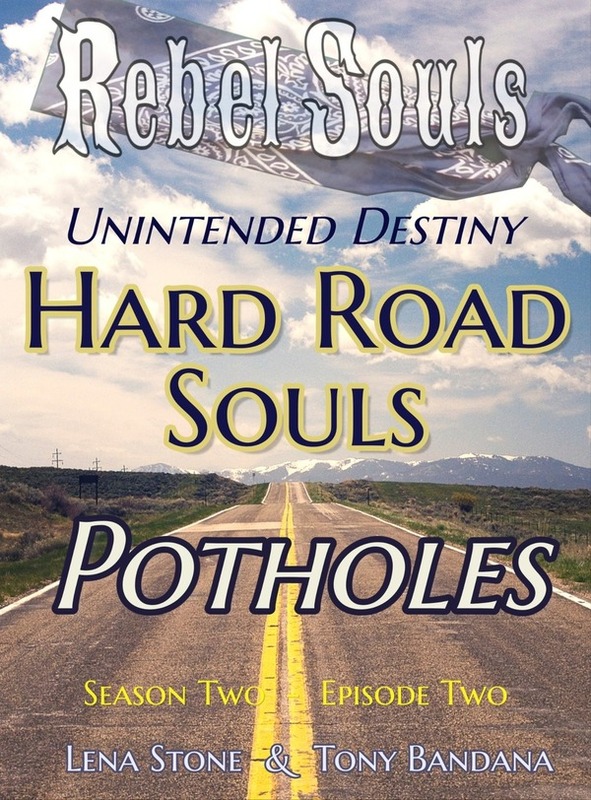 Join us on the historically-documented, realistic fiction adventure on their roadway of life for the ride that will leave you asking the question, what’s in your Soul? Every Soul has a form of rebellion in its own way. 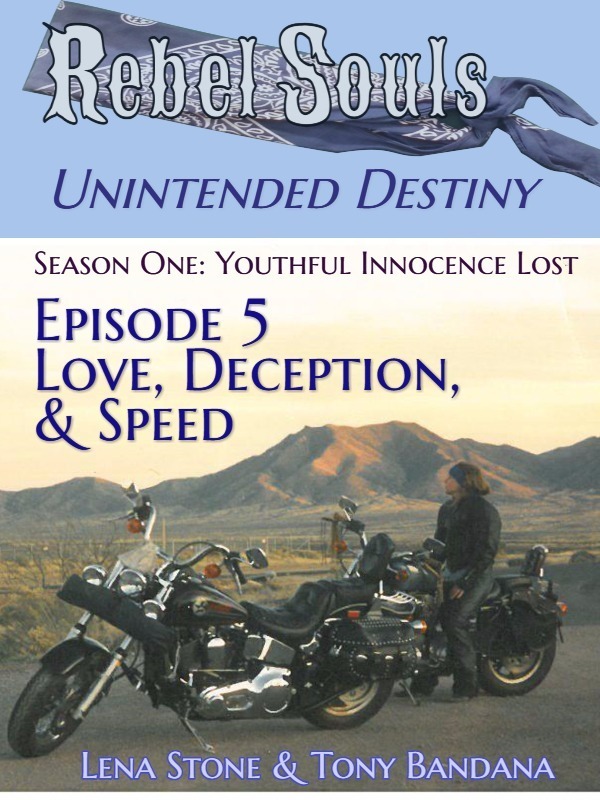 Scroll down and CLICK on BOOK COVERS to see all versions to buy & download episodes or complete book. Episode 1 is at the bottom of the page. I have to say that this is one of the most honest reads I have ever read. It goes right to the core of where America went wrong. It is deep it is honest and it is some of the most inspiring reads I have ever read.. I would recommend this to true Americans who grew up in the 60's who's life was supposed to be a certain way. Your life is YOUR life. You live it the way you want. I highly recommend this book to the ones who want the truth. "Readers who have finished Season One say: "I'm going through withdrawals." Get a good addiction: read it." When you are young you long to reach early adulthood and the thrills and excitement it brings never thinking about the responsibilities and realities that come with it. Both Lena and Tony get a taste of the good life and the pleasures life brings but reality has other plans for their loss of youthful innocence. Life Is A Gamble A Game Of Chance For Your Life! You Really Knock Me Out! Tony and Lena both discover that the problems they faced in their younger years seem so innocent and naïve as compared to the question and problems they are confronting as young adults. It's the Time of The Season For A Shotgun Wedding! A Great Day For A Ride? Coming of age presents new challenges and excitement! Lena gets Hammered while questioning even more the intent of her relationship. She experiences being blown by the wind from a completely new and daring escapade. Tony encounters the strong arm of the Establishment returning home from a voyage. An unexpected encounter with another one of the Vietnam War realities results in a new friendship, a brother of another color. Both Lena and Tony become caught up in the sexual revolution and its ups and downs when it comes to relationships. Lena loves, laughs and wants more of life. She gets it and takes a necessary precaution. Magical, musical times conflict with mixed messages. Do others have plans for her? Tony finally tastes the freedom he has been longing for and immediately learns there is a price that comes with freedom and pleasure. Things get Crazy as in ladies, booze and on the road. The Deep State Establishment has other plans. As Lena adapts to city life and matures, new loves, friends and fascinations come her way and the new age deals her more cards. After a major life altering disappointment Tony finds a different form of love and discovers that love and disappointment sometimes go hand in hand. All across the country America’s youth have growing concerns discovering the coming of age has a price as the Vietnam War and the Draft Lottery plays a big part in determining their future. Lena adapts to city life and the challenges which come with it all, while developing her first serious crush. She also discovers the ups and downs of racing and that she has a fighting side. Tony’s enjoyment of the rewards that result from his hard work and effort is interrupted when he learns pleasures come with a cost. He once again raises question relating to the JFK assassination as he becomes even more confused about humanity and the quest for peace. 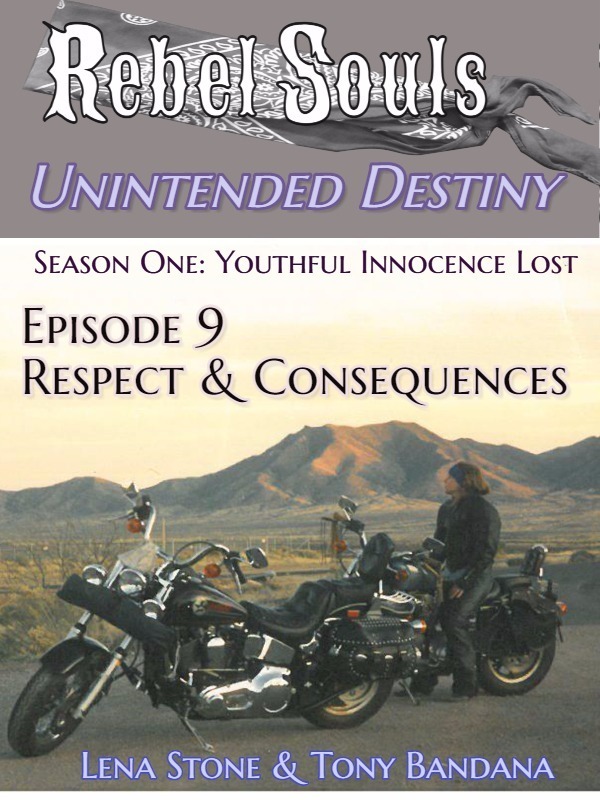 Tony finds that he is forced to constantly stand up to challenges life lays out in front of him. Tony experiences first-hand the hypocrisy of words and actions as the Vietnam War rages on! Thank You. When we all fell in love. 5.0 out of 5 stars FABULOUS !!!!! Lena enters a new world when the family leaves the country for the concrete jungle. Life is now full of peers and pecking orders that lead to guilt and confusion as new friends, infatuations, and the scent of fear go hand in hand. Tony’s hostilities grow as the only way to fight fire is with fiercer and higher flames from his Soul, disregarding any consequences. He digs deep to change disappointment into determination and is rewarded by responsibility and patience while finding the world to be an increasingly cold and dangerous place. The Vietnam War continues. Tony questions the true meanings of peace and love, while Lena questions man’s overall role in the grand scope of things and the meaning of carpe diem! With questions about the Establishment’s involvement in Vietnam already embedded in Tony’s head, he is forced to evaluate even more mysteries as he learns about the fate of the Men of Peace. Surrounded by hostilities from all sides, Tony must search for a balance using fun to offset harsh realities. Lena searches for meaning from the vast corners of the universe to balance positive thinking against life’s realities but learns no matter how positive you choose to think, changes are just around the corner on the roadway of life. I'm truly enjoying this book. So much I can identify with at my age. It is well written such a Good read. Travel through the 1960s to the Summer of Love. Young souls encounter the family attitudes on matters of love, war, peace, and politics from turbulent times affecting everyone’s lives. Under the new presidential administration, the War in Vietnam escalates and the concerns of parents and friends become just a part of the everyday lessons learned by young developing souls. The curiosity when entering the early teenage years are a time with new joys and interests, but can also be a time of confusion. The first impressions of determining what is wrong and what is right and what just feels right is still in question. Every generation experiences these meaningful years with each experience shaping the next mile forward onthe Roadway of Life. First episode done. Absolutely loved it! Can’t wait for the next one. This episode inaugurates a series of the epic saga, inspired by true events. 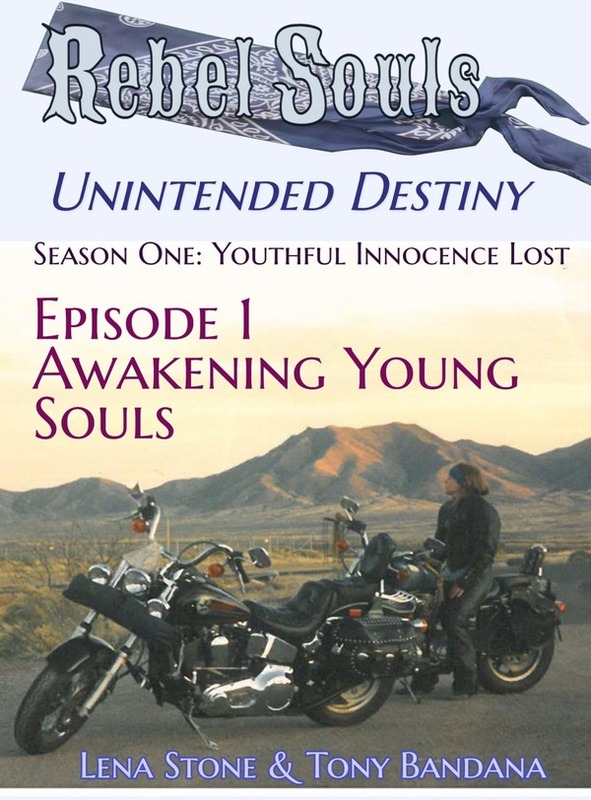 This series includes historical events and the lives of two souls born free, believing their hopes and dreams could come true. 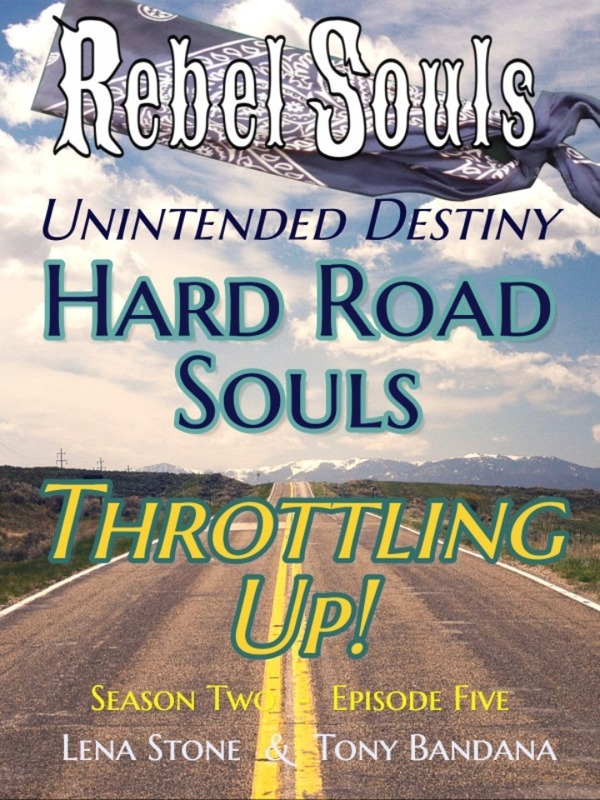 Ride along with Lena and Tony on the roadway of life as they encounter forces intent to tame their rebellious souls. 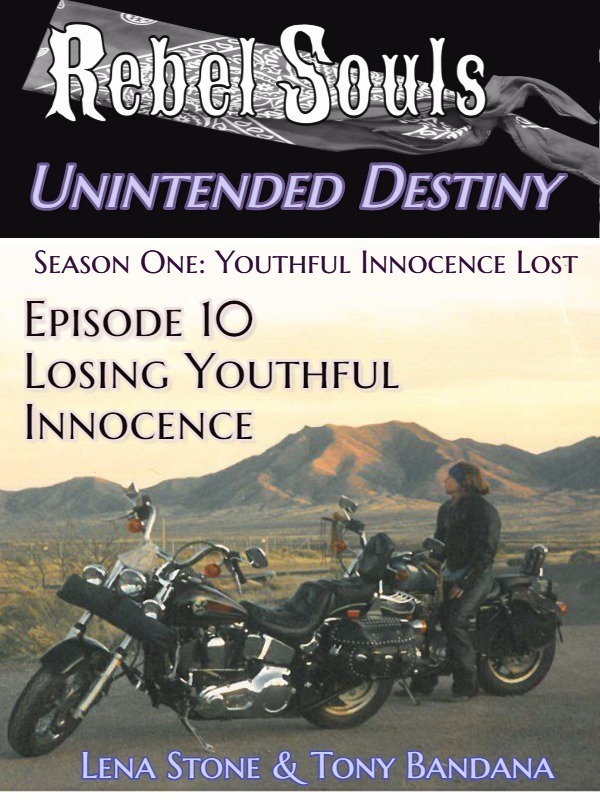 Episode One introduces you to the two main characters and their first recollections of a simple time in their life, a time of innocence. Think back to your first recollections and join Lena and Tony on their journey in our first episode. Scenes from John F. Kennedy inauguration, Duck and Cover, Cuban Missile Crisis and Vietnam War provide backdrop to a young girl who wants a horse and a boy who needs a Harley. There is a free spirit the exists in all of us which is expressed in different ways from the paths we decide to take in our lives.